Otunba Hon. Yacoob Ekundayo Bush- Alebiosu, popularly known as D-Bush is a humane and optimist for a just and egalitarian society. An Architect by profession, Hon. 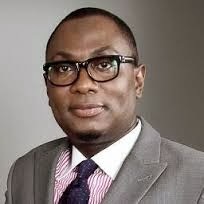 Dayo Bush –Alebiosu has distinguished himself as a thoroughbred and proficient professional in the Nation’s building and construction industry before his foray into partisan politics. His candour, charisma, humility and philanthropy are rare among his generation. Hon. Dayo Bush-Alebiosu’s adventure was not by a coincidence. He comes from a prominent political dynasty of Otunba Busura Alebiosu, a former Majority leader in the Lagos State House of Assembly during the Second Republic regime of Governor Lateef Jakande’s administration. He cut his political teeth under the master strategist and great leader of all times-the Asiwaju of Africa-the former Governor of Lagos State-Senator Bola Ahmed Tinubu where he served as a Special Assistant on Housing. He carved a unique niche for himself during the tenure of Asiwaju Bola Ahmed Tinubu as a reliable, diligent and focussed officer of government as he effectively collaborated and served as a proficient team player in the realisation of Housing Programmes of the administration. His sterling performance in office was immediately rewarded as the good people of Kosofe Federal Constituency of Lagos State chose him in the April 2007 National Assembly general elections as their “eyes and voice” in the lower chamber of the National Assembly. Since then, the story has been that of blessings and rapid transformation and provision of basic amenities to the good people of the Federal Constituency. His ardent love and compassion for the development of the area is unrivalled as several countless Federal projects had been brought to the Federal Constituency. He has proficiently combined the primary goal of representation which is lawmaking for the general well-being of the people and the enhancement of the development of his constituency. Kosofe LGA, Ikosi –Isheri LCDA and Agboyi-Ketu LCDA all within the Federal Constituency which are the grassroots’ council areas closest to the people have all been touched by the lifting spirit of Hon. Dayo Bush-Alebiosu whose passion is to accelerate the well-being of the area. Due to his vast knowledge and experience and relationship with his fellow representatives, Hon. Bush-Alebiosu has served in many committees of the House including National Security, Petroleum (Upstream) and was a former sub-committee Chairman of the Economic and Financial Crimes Commission (EFCC) and other committees. He had at one time or the other, served in different ad-hoc and special tasks teams on varying national assignments. As a loyal party man, he had toed the line of his Political Party on all issues that the party supports and had always sought the inputs of those he represents before saying “YES” or “NO” on issues of discourse on the floor of the house. He is a staunch advocate of “ONE MAN,ONE VOTE” ideology and had supported his party-The ALL PROGRESSIVES CONGRESS (APC) on the endless calls for total reformation of the electoral process, rule of law and true federalism for Nigeria. As a Representative with human face, he had at several times implemented interventionist programmes in the area of roads, security, electricity, water supply and educational support projects in some primary schools within the Federal Constituency. He is presently the Chairman of the House Committee on Treaties and Agreements. Hon. Dayo-Bush Alebiosu believed that although the primary responsibility of Lawmakers is to make laws for the good governance of the country, he will always put in his efforts in the provision of developmental projects and amenities for the constituency. Provision of desks, benches and chairs to these primary schools as well as teaching aids for their teachers and instructors. Textbooks, instructional materials and other teaching aids were also provided for some primary schools in the area. Provision of water (borehole) at Ifako-Market, Ifako-Gbagada. Provision of three motorised water boreholes- Ifako, Oworonshoki and Ojota (under-construction) with a value of fifteen million naira per borehole. Road repairs (sand & grading) of Tawakalitu Central Mosque Road in Anthony. Distribution of several JAMB and GCE forms to over five hundred candidates and the convening of special tutorial and remedial programmes to aid their success in the examinations. Several youth groups and associations have been provided with various forms of assistance. He had bankrolled sporting competitions (boxing and football) in the length and breadth of the Federal Constituency. These schemes were aimed at improving the lots of youths and making them shun social vices. Several Transformers were also provided to over fifteen areas within the Federal Constituency towards boosting electricity supply in the affected areas. Magodo and Mende areas were not left out of these dividends as they were also with provided with Solar-Powered streetlights which boosted night-life economy and security in these two areas. THE CONTROVERSIAL BAKASSI ISSUE WHICH THE COMMITTEE ON TREATIES AND AGREEMENT REALLY WORKED TIRELESSLY ON BEFORE THE EXPIRATION OF THE DEADLINE. MOTION ON THE DOMESTICATION OF TREATIES SIGNED BY NIGERIAAS WELL AS THE STREAMLINING OGF TREATIES SIGNING PROCEDURES. Otunba Hon. Dayo Bush-Alebiosu is happily married with children.